Here is another in a series of festival prints we were lucky enough to team up with J Dub All Stars on. 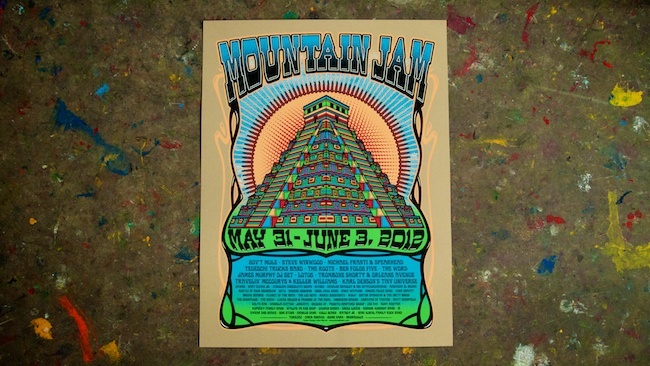 I just posted the awesome Gathering of The Vibes poster, now check out the equally awesome Mountain Jam print. This 5-color print was designed by J Dub All Stars and was printed on 19"X25" oatmeal French Paper cover stock. It was available exclusively at the festival.